Service Chiefs Thursday met with the chief of staff to the president, Abba Kyari, at the presidential villa, Abuja. Those in attendance are; the Chief of Defence Staff, General Gabriel Olonisakin, Chief of Army Staff, Lt. Gen. Tukur Buratai, Chief of Naval Staff, Rear Admiral Ibok Ekwe Ibas and Chief of Air Staff, Air Marshall Abubakar Sadique. 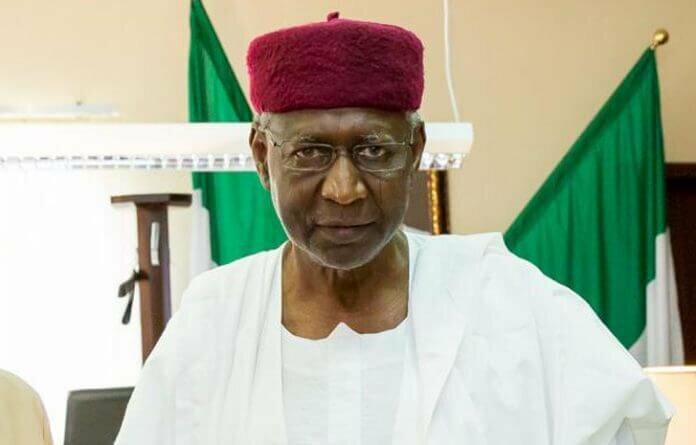 The services were had earlier went to President Muhammadu Buhari’s office for the meeting, were said to have been directed to Kyari’s office for the meeting by Aide-De-Camp (ADC) to the president. The meeting did not last long and the agenda was not made public as at the time of filing this report. Nigeria must get ready for another civil war and after that one the will be no more Nigeria.